Getting the maximum use of your gun requires that you can retrieve your handgun the very moment that you need it. You have to provide a way of keeping it secure and protected while it is also easily accessible for retrieval during need. This reinforces the use of a holster. For anyone going about with his best concealed carry holster for 1911, then this is good news because there are a lot of options for you to choose from. However, going for the right choice out of the pool of available options poses problems for a lot of people. 1 Why Do You Need A Good Holster For Your 1911? Why Do You Need A Good Holster For Your 1911? It is important for anyone with the 1911 to have a holster because it not only protects it from dust, scratches and knocks but helps you carry them concealed. 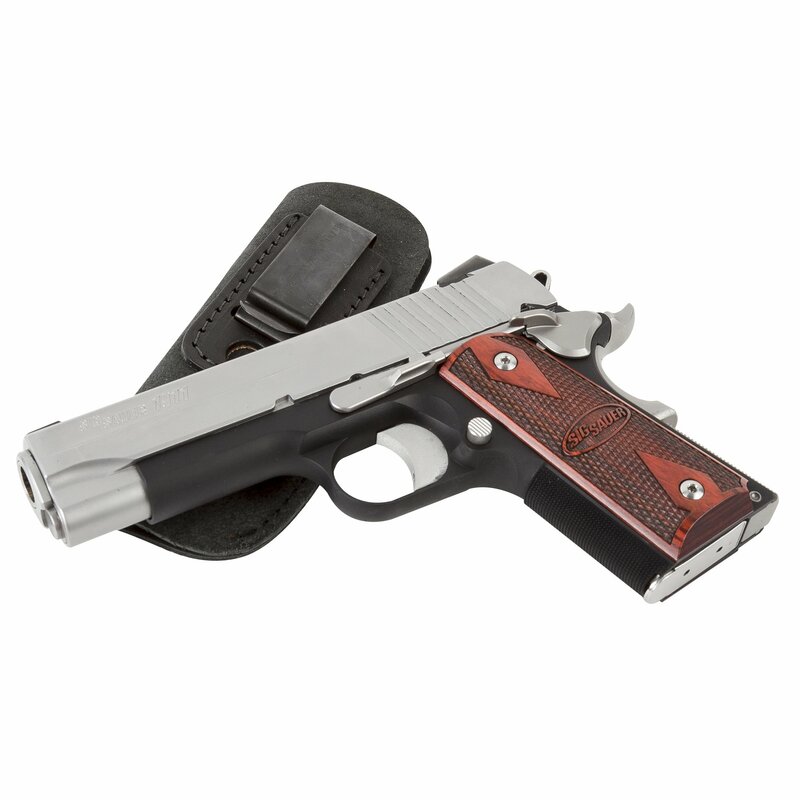 You can decide to keep your 1911 in your purse or bag for protection from dust and scratches, but they do certainly pose some level of difficulty in retrieving in a case of emergency. In case you are in an emergency situation and you need to reach it in a hurry, it might snag and turn around making it difficult for you to get a firm grip on it. So how about carrying them without holsters in their waistband? Well, that’s a better idea, but it won’t be secure and will also be uncomfortable for you. Your 1911 will also most likely be exposed to perspiration, and this might lead to the rusting of your handgun. If you will like to go about with your 1911, then getting a good holster for it is the way forward. Most holsters out there do not really enclose many parts of the weapon like that of a traditional military. The grip is usually left completely exposed so as to allow for a quick withdrawal when in a hurry. This is true for both the traditional leather pancake holsters and the more modern synthetic ones. Both the traditional and the modern have their advantages. The traditional pancake holsters are usually lower profile which makes them easier to conceal. This makes them good for the 1911 since they are big but flatter than most other high capacity nines. Taking a look at the modern synthetic holsters, they also have some benefits associated with them such as retention devices for protection. Accessibility: Your concealed holster should be easily within your reach no matter how tight you strap it to your body. It is all about the speed with which you can draw your gun in an emergency situation. Most of the time, the accessibility of your gun is much more important than the type of your gun. Concealment: The main purpose of a holster is to keep your gun hidden until you withdraw it for use. There are so many situations where the people around you might freak out at the sight of a gun. This reinforces the use of the concealment as you will want to keep the gun hidden in these situations without any impression. Bad holsters reveal the impression, and they tend to scare people around. Comfort: If you go about with you 1911 throughout the day, then you should go for a holster that is lightweight and easy to wear. You should spend some time finding the one that will work for you as it will be your companion for the greater part of the day. Try to stay away from holsters that have a semi-auto sliding mechanism that rubs against the skin thereby giving you itches. Holsters that feature this kind of mechanism are usually uncomfortable to hold, and they are also irritating when the 1911 is inserted in them. For those that stay in the warm regions, this poses a great concern as they can be easily seen under the sweaty clothes. The ultimate suede leather IWB holsters are known to offer classic American craftsmanship that combines comfortability, function, durability. Why go for inferior nylon when you can go for the genuine leather that is made in the United States? It is known to be one of the best “inside the waist band” concealed carry holster for the 1911 out there. It is comfortable to use and built so as to last long which is further backed by the lifetime warranty that comes with it. The users a guaranteed maximum protection, while enjoying every activity of your day with comfort and good performance. Optimum concealment was taken to mind during the Construction of this holster while balancing its ease of access when needed. 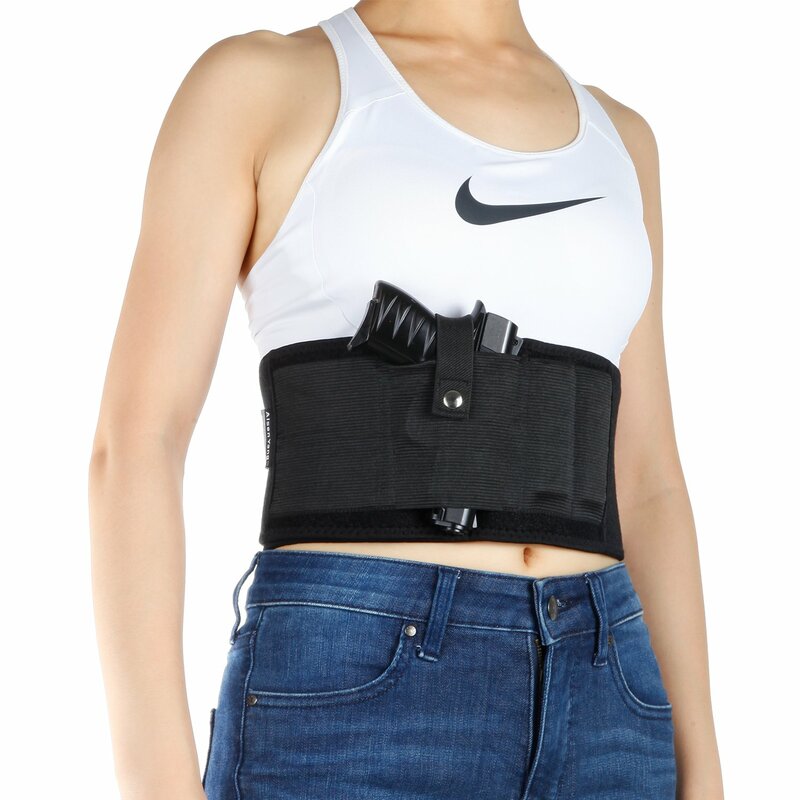 This holster can be used with or without a belt and also with sweatpants. This is just great for those that are tired of Kydex holsters or bulky leathers that are difficult to get off and on your belt. It works just fine outside or inside the pants for hiding. To get this holster on, all you have to do is to wrap it round your back and draw it tightly to your front. You should then go ahead to press the hooks and loops together. After this, you can spin it round your waist to place it on the left, middle, or right of your back. It is made with high-quality neoprene with a strong button which keeps the handgun secure while allowing some moderate adjustments. Specifically made for the Kimber 1911 Ultra Carry II and the Ultra TLE II, The Foxx Hybrid Holster is designed for use in the waistband concealed carry . 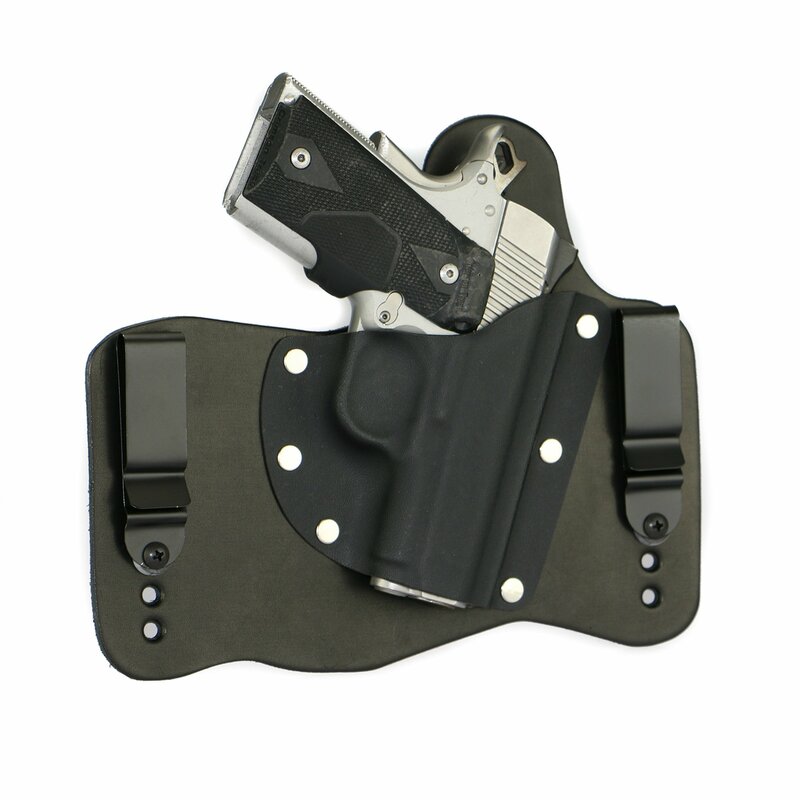 This holster is made from the combination of a high grade 9 oz. Leather with 0.60 Kydex. It comes with a Black Spring Steel Belt clip which can be adjusted for cant and ride height. The holster was built with the comfort and level of concealment in mind. And it is also tuckable too. They are molded to fit the particular firearm that they are designed for. In the end, we give it to the Foxx holsters. It is our best concealed carry holster for 1911.It has everything that you could wish for in a holster which ranges from the near perfect conceal carry to the comfort it provides with the use of your handgun. With its body made from premium leather, it has a high durability and can withstand some level of wear and tear. All these goodies also come at a very fair price, which makes it the perfect choice for any 1911 user out there.